Assam Polytechnic (PAT) 2019 Admit Card is releasing on 2nd May 2019. It is conducted by the Directorate of Technical Education, Assam. It is one of the state level polytechnic exams. It invites the application from the candidates those wants to get admission in various Diploma courses in the state of Assam. The admissions will be offered by many polytechnics/institutions of the Assam state. The article contains the complete information of Assam Polytechnic (PAT) 2019. 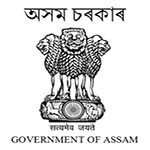 Assam Polytechnic (PAT) 2019 Admit Card is releasing on 2nd May 2019. Check here for admit card details. Candidates should follow the schedule given below to apply for Assam PAT 2019. Assam Polytechnic admit card will be released through online mode. The authority will release the admit cards from 2nd May 2019. Candidates have to enter their ‘Application Number’ and ‘Date of Birth’ to get the admit card. Candidates those are going to appear in Assam Polytechnic 2019 exam can check the exam pattern for the exam. Type of Question: The questions will be objective type with multiple choices Answers. Number of Questions: There will be 100 questions asked from each section. Exam Centres: It will be held in selected centers at Mangaldoi, Tezpur and in Govt. Polytechnics/Institutions of Assam. The syllabus for Assam PAT entrance exam is comprised of the syllabus of 10th or equivalent class. It is comprised of the subjects like Mathematics & Science and General English & General Knowledge. Candidates can get the complete syllabus from the DTE, Assam website. Assam Polytechnic PAT result will be declared by the Directorate of Technical Education (DTE). It will be declared through online mode on their website. The candidates can view their results from the first week of June 2019. To check the result, candidates need to enter thier exam roll number. On the basis of written result, the separate merit list will be prepared by the authority for selecting the candidates for the counselling. Along with result, candidates also have to download the “Part-B of Application Form” to carry it at the time of counselling. Assam Polytechnic counselling 2019 will be started from the first week of July 2019. It will be organized through online mode only. Candidates have to report at the specified venue on given date and time to participate in the counselling process. Candidates have to fill their choices for polytechnic colleges and courses in the counselling session. The seats will be allotted on producing the required documents and fee at the time of counselling. Candidates without Permanent Resident Certificate (PRC) will not be allowed to take admission even after clearing PAT 2019 entrance exam. Assam Polytechnic application form 2019 should be filled as per the guidelines given by the official authority on the information brochure. The application form are invited through online mode only. The online application form has been started form 1st March 2019. The last date to fill the application form will be 12th April 2019. Candidates must fill all the details correct and carefully. Candidates should take the printout of the application form to produce in the exam center. The application fee is Rs. 500/- (plus bank charges as applicable). It can also be paid through challan in any branch of State Bank India. Bank Challan will be generated after registering online. Candidates can apply for Assam PAT 2019 only on fulfillment of the eligibility criteria given below. Domicile: Candidate must be the permanent resident of Assam state. Age: The general category candidates maximum age should be 20 years and 6 months as on 31st December 2019. For reserved categories, the maximum age limit is 23 years and 6 months as on 31st December 2019. Qualifying Exam: Candidates must pass HSLC/10th class exam or its equivalent in a single sitting from a recognized board. Subjects: Candidate must qualify the qualifying exam with Mathematics and Science subjects. Minimum Marks: For General, 40% marks, for SC, 35% marks and for ST, 33% is the minimum required marks. If students have any query regarding Assam Polytechnic (PAT) 2019, they can leave their query in given below comment box. My date of birth is 01/12/2001 can I apply pat? konse office ko contact karna hoga? How can i contact official s? my hslc passing year 2016. Can i apply for pat 2019. please inform me. You can apply if your age is maximum 20 years and 4 months as on 31st December 2019. Can class x exam,waiting for result apply this entrance exam? Yes, appearing candidates can apply. Sir.my dob is 12/01/2002 am i eligible for PAT 2019? Sir my dob is 6_8-1999 can i apply for next year 2019 pat entrance exam? ?n will it be eligible to give entrance exam ..n i had pass for hslc ..n i am a obc category ..can it be eligible?? Good afternoon Sir. My dob is 18.O4.2003.I am a M.O.B.C. category. I will appear for h.s.l.c examination next year. Am I eligible for this? Good afternoon Sir. My dob is 18.O4.2003.I am a M.O.B.C. category. I will appear for h.s.l.c examination next year. Am I eligible for PAT?? I want to know how much percent mark is required for OBC Cast. And are the forms will be available a Bongaigaon Polythenic ,and if available can i take thee forms from there . I will be looking forward. Yes..! You are OBC caste but here in PAT it falls generaly in general caste. You are Eligible. Sir ..my dob is 12.7.1998 can I apply for next yr entrance exam …n will it be eligible to give entrance exam …n I had pass for hslc and HS ..n I m a OBC category ..can it be eligible ???? My dob is 22/11/1998 am I eligible for 2019 polytechnic ? Please give me a seat please…….